San Francisco's scenic waterfront Embarcadero's Epic Roadhouse restaurant is the place to be for Bay Area Pinot Noir aficionados, Saturday afternoon, June 30th (2012). You are invited to Sing, Swirl and Swine at the annual High on the Hog Pinot tasting with super delicious eats as well as live music by Joey Altman and the Soul Peppers. I have it on good authority from boutique winemakers Jamie & Kristen Kutch that this is one of the best Pinot events around. Keeping good company with the best of the best, they will be pouring their extremely small production un-released 2010 Kutch McDougall Ranch and Falstaff Vineyard Pinot Noir (set to release in the Fall of this year). 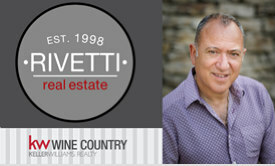 Read more about Jamie Kutch's highly sought after wines, on The PinotFile.